Energy and Power System Transformation program is designed to support the energy transition process in Indonesia towards universal and sustainable access in low carbon energy systems. Our transformation strategy includes (1) raising the awareness on the feasibility of shifting from coal to renewables among key policymakers and stakeholders in Indonesia’s energy and power sector; (2) exploiting any opportunity to expand Indonesia renewable energy market; and (3) working collaboratively with other like-minded stakeholders, in particular also from civil society organizations. 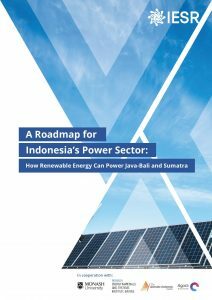 Indonesia has a chance to join the wave of energy transition toward a low carbon energy system that is ongoing at the global level. The current 4D’s trend of decarbonization, decentralization, digitalization, and democratization on today’s power system presenting opportunities for the country to build cleaner, more resilient, cost-effective, and more secure power system, and avoid the risks of stranded assets of existing infrastructure in the near future. In another side, current trends could bring threats to existing power system if it fails to be addressed properly. The failing cost of wind and solar power technologies, plus the declining cost of energy storage, have made renewable energy become more cost competitive in generating electricity to conventional power plants. 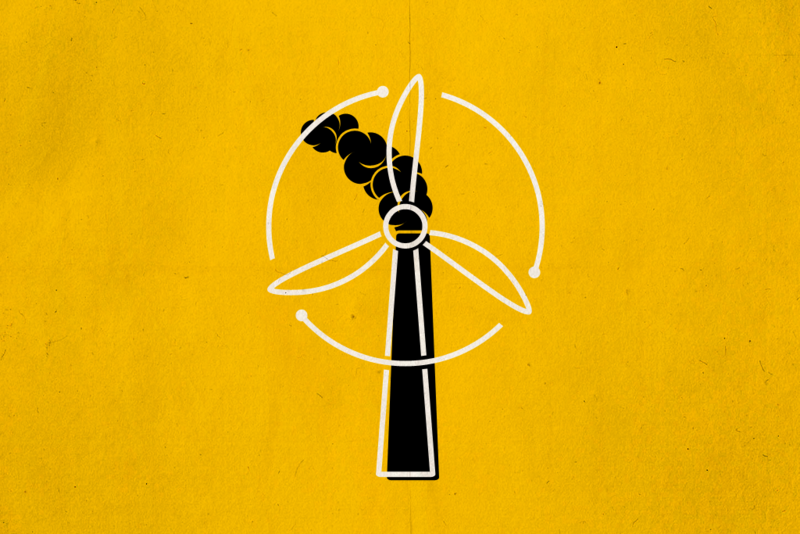 Their advancement presents serious threats to the conventional business model of the power industry. As these clean energy technologies become affordable by the consumer and easy to deploy as distributed generation, it could disrupt centralize and monopolistic structure of existing power supply system and causing stranded assets that could lead to potential financial catastrophe and a threat to energy security. Furthermore, Indonesia has signed the Paris Agreement and set ambitious goals of increasing the share of renewables of 23% in the country’s energy mix by 2025, and 31% in 2050. Decarbonization of the power sector is imperative to ensure Indonesia meet its pledge, reducing the risk of stranded assets, and ensuring energy security in the long run. This means that the capacity of renewable energy power plants must increases significantly, while at some point in the near future no new coal plant will be constructed. We, IESR, believe that these opportunities and threats need to be anticipated and addressed properly and systematically through reforming policy and regulation, improving medium and long-term planning toward low carbon power system, reforming power sector industry, adjusting utility business model, as well as promote more robust private sector investment. Nevertheless, those transformational changes require a political consensus of various stakeholders in the energy and power sector. This can be achieved through better knowledge and understanding of the key policymakers and stakeholders on the current trends and its consequences to Indonesia power sector. Policy makers need to make an informed decision based on accurate information, science and facts, and taking into consideration political economy realities. For this reason, IESR developed five interlinkages work packages under the Energy and Power Transformation program. The five work packages are Indonesia Clean Energy Forum (ICEF), Energy/Power Advisory, Solar Revolution Hub, Clean Energy Resource Hub, and Renewable Energy Advancement/Incubator Facility. Indonesia Clean Energy Forum (ICEF) is a platform for high-level policymakers and key players in the energy sector to engage a fact-based energy policy debate on the energy transition at the national level. The forum has been grand-launched on 15 November 2018 by Minister of Energy and Mineral Resources, H.E. Ignasius Jonan, in conjunction with the holding of the first Indonesia Energy Transition Dialogue (IETD) – an annual event of IESR and ICEF. ICEF members comprise of 25 prominent individuals from various backgrounds (i.e., governments, energy companies, businesses, financial institutions, think tanks, academics, and experts), and chaired by Prof. Dr. Kuntoro Mangkusubroto, former Minister of Energy and Mineral Resources and head of Presidential Delivery Unit. Energy/Power Advisory is a support system to conduct fact-based research for government agencies and utility in reforming policy and technical regulation in the power sector towards low carbon energy transition. Main activities in this work package include document stocktaking and review to identify knowledge gap, identifying energy key agents, technical assistance in renewable energy policy, engagement with policy and decision makers, as well as civil society and the broader public. Global solar energy, especially from solar photovoltaic (PV) technology, has grown rapidly in the last decade. IRENA records that there is a 466 GW of global net capacity addition during the ten-year period (2008-2018). 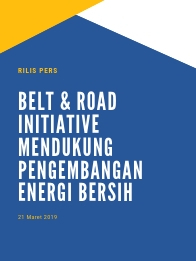 Having this progress globally, IESR believes that the technology also plays a significant role in the low carbon energy transition process in Indonesia. We expect that the technology can be the first mover, among other technologies, to achieve the economies of scale of RE technology in the country. For this reason, the Solar Revolution Hub work package is created, altogether with the support and facilitation hub for the implementation of a multi-stakeholder initiative of ‘One Million Solar PV Rooftop Initiative’ (OMSRI) to achieve 1 GW solar PV rooftop installation by 2020. Clean Energy Resource Hub is a hub to support public outreach and campaign by CSOs and CBOs at the national and local level. The hub shall make information on Indonesia energy policy and its analysis available and accessible to civil society, conduct specialized training and other type capacity building on clean energy for CSOs and CBOs, and provide assistance to local CSOs. Main activities in this work package include identifying potential partners, developing and managing web-based one-stop information on clean energy, as well as promoting the results of the program. Renewable Energy Advancement/Incubator Facility is a facility to support local government to implement Rencana Umum Energy Daerah (RUED – Local Energy Development Plan), and Local Nationally Determined Contribution (NDC) Plan, and assist them in developing local clean energy policy and investment framework. This facility shall also collect and build a database on potential clean energy project portfolio, facilitate communication between local government and clean energy investor, provide technical assistance to local government on developing policy framework and strategy for clean energy development. Given limited progress on RUED, this work package shall start operations in the year 2020.